Alex McCaskey describes recent plugins implemented for the Eclipse ICE to streamline and improve the MOOSE development workflow, from application development to execution on a remote HPC resource. 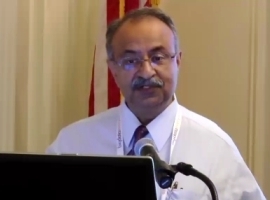 Sharan Kalwani presents the history of HPC and the technologies and trends which have contributed to creating the world of big data, covering applications of HPC resulting in big data technologies. Dan Rosanova compares traditional HTC with cloud HPC, sharing a case study and statistics from a financial modeling scenario. James Spooner discusses the need to make good use of the underlying silicon using Dataflow computing and parallelism to improve throughput and latency for optimized data processing performance.